Since Time immemorial, tales of the spooky, paranormal, and mysterious have been staples of folklore across the world. Japan is no exception, and its unique position as a melting pot for cultures from around Asia gives it a particularly rich heritage of supernatural legend and tradition. 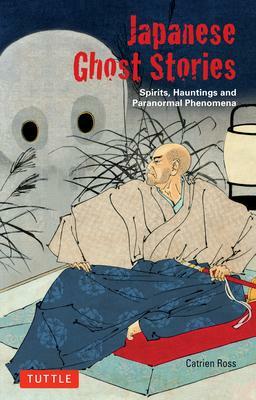 To write this book on Japan's ghosts and other freaky phenomena, Catrien Ross collected accounts of the eerie and terrifying from around Japan. Along the way, she braved frightening locales including the unquiet grave of the beautiful, betrayed Oiwa, and sacred Mount Osore, a gateway for communicating with the dead. The result of her journeys is a glimpse into hidden aspects of the Japanese world of the paranormal: a world of blind, women shamans, trees that grow human hair, weeping rocks, and even a graveyard where Jesus is reputed to have been buried. Covering ancient and modern times, "Supernatural and Mysterious Japan" offers not only some good, old-fashioned scary stories, but some special insights into Japanese culture and psychology. It delivers terrific entertainment-and some good chills-for the Japanophile and the aficionado of the supernatural alike. Catrien Ross has lived and traveled extensively in Japan for over fifteen years. She operates Energy Medicine Japan, which is located at the foot of Mount Fuji, overlooking Lake Kawaguchi. Catrien's practice incorporates traditional Asian medicinal traditions and her training in ecopsychology and practical metaphysics. She also uses healing art and dance to reconnect mind, body and spirit and facilitates study groups and classes, as well as international workshops.